Although both deal with automation, RPA and AI are not one and the same. 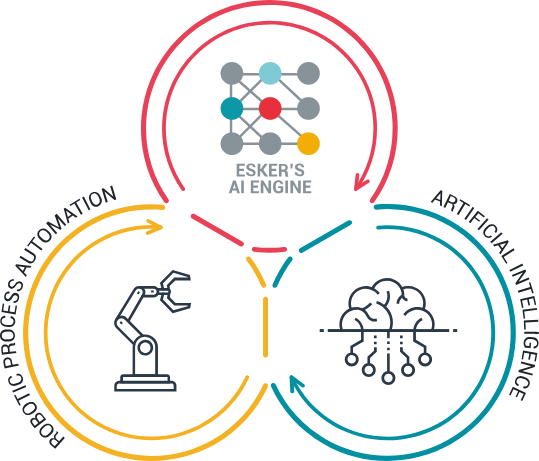 RPA doesn’t “learn” on its own and only works with structured data, whereas the AI technologies built into Esker’s AI Engine are capable of rewriting themselves in response to their environment or the data they’re exposed to. Combined with RPA, machine learning and deep learning help bring automation to a whole new level! Learn about benefits of Esker's RPA an AI-driven solutions and how leading organizations are using the technology to increase customer, supplier and employee satisfaction.